It is only the first week of our stay in Berlin, but it feels like an eternity since my plane took-off from O’Hare. But this is certainly not a complaint. We have had the opportunity to do such amazing things in only a few short days, and we have so much more to do. 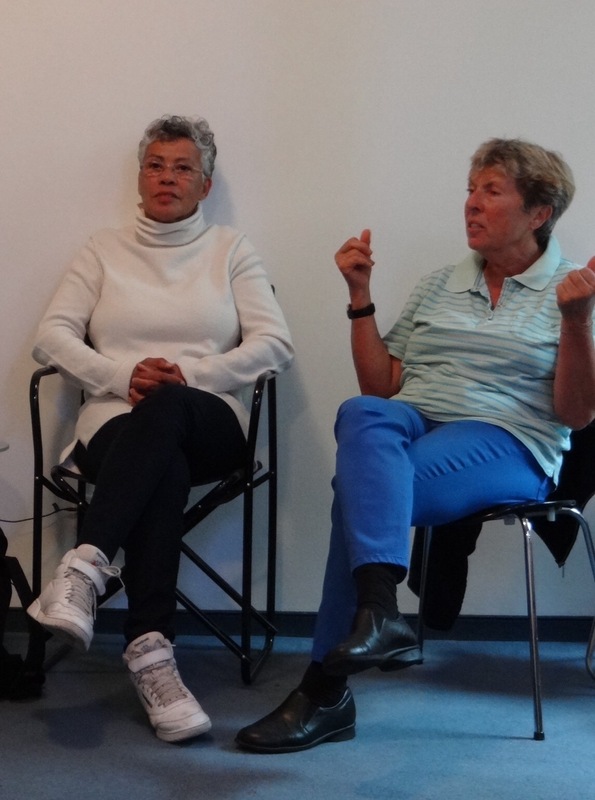 This morning, we started the day in the classroom at Frauenkreise to talk with Dagmar Schultz and Ria Cheatom about their film Audre Lorde: The Berlin Years, 1984 to 1992, which documents their lives as activists and their work in the Afro-German feminist movement. Melissa began our discussion by asking about Audre Lorde’s experiences living with cancer while continuing to work in Berlin. More specifically, Melissa was interested in Lorde’s use of holistic treatments in Berlin instead of conventional methods to treat her cancer. Dagmar’s response was that Lorde never wanted to stop working because it was, and continues to be, a necessary movement. Dagmar believes Berlin had become Lorde’s replacement for New York City, as her work in Berlin became central in her life. Dagmar also discussed how such a major portion of Audre Lorde’s career is often forgotten or glossed over and how unfortunate it is that people like Lorde (similar to Rosa Parks and Martin Luther King, Jr.) are often simplified down to a “list of fancy quotes.” Thus, the actual scope of their work is never fully realized or appreciated. Similarly, Dagmar’s own involvement in the Civil Rights Movement in the United States between 1963 and 1973 was not fully acknowledged after her return to Germany or in the present day. I think this reduces their dignity as people while diminishing their legacies as movement leaders. It is very easy to do an internet search for a quick excerpt without being required to obtain any knowledge from the lessons being taught. As the conversation moved along, we started talking about the first few meetings between Afro-German women and Audre Lorde. Ria offered an anecdote about how she had trouble accepting some of the women who attended these meetings as “real” Afro-Germans because of their really light skin and strong European facial features. The topic of color and skin tone was first brought to my attention while reading a section of May Ayim’s Blues in Black and White: A Collection of Essays, Poetry, and Conversations. In “White Stress/Black Nerves,” she briefly mentions how the benefits of privilege become more complicated when examining the experiences of Black and immigrant women based on skin tone. In other readings, I’ve also seen the authors refer to their “dark skin” in contrast to the white Germans around them. My own personal experiences as a dark-skinned young woman initially made me flinch at an Afro-German person referring to their skin as dark. The flawed perception being that they would have lighter skin as biracial people. Growing up, I was made to believe that one of the worst things you could be was dark-skinned. I can recount multiple times when I felt lonely, hurt, and confused after someone used me as punchline because of the amount of melanin in my skin. It is hard to come to terms with being marginalized for something over which you have no control. Along these lines, Ria discussed her own “coming out” as Black, and I believe a major part of that is in realizing how much value society has or has not placed on your life because of your skin color. The more I thought about it, however, the more I realized my own slight privilege, because I am able to search and find influential women who share not only my complexion but my history. During our discussion, we learned that this is something most Afro-Germans were not able to do, because they were being actively erased from mainstream consciousness. 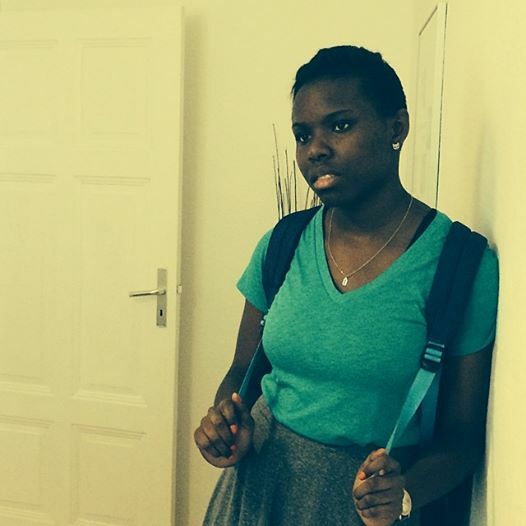 This was the moment the reality of the isolation imposed on Afro-Germans began to be cemented in my own consciousness. 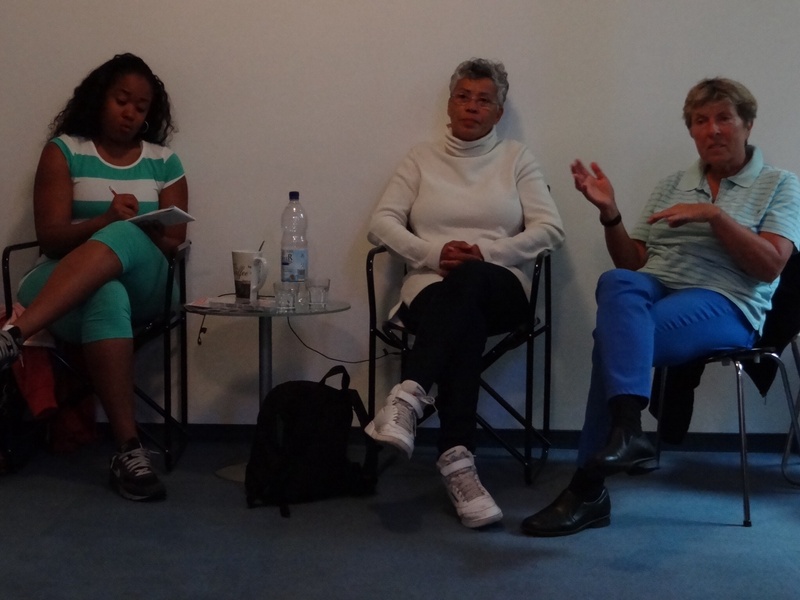 On a brighter note, it was great to listen to Dagmar and Ria recount stories about their time with Audre Lorde. What surprised me the most was that they rarely encountered any resentment from inside the movement because Lorde is an African-American. Lorde’s work was to build coalitions around differences without being completely fixated on similarities. 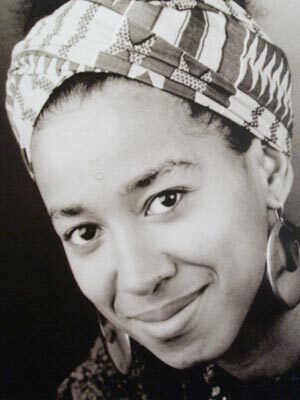 She was warmly embraced by people who desired and even needed connections with other Afro-Germans. Dagmar’s documentary also emphasizes Lorde’s desire to listen not to just talk. Yet, when other feminisms cross national boundaries, the goal is to liberate, but only with the visions of the integrating feminists in mind and not those needs or goals of the communities they are supposedly uplifting. According to Dagmar, Audre Lorde considered the Afro-German feminist movement as more than just a cause. She regarded it as a community that was mutually beneficial to its members. Hence, they were able to create a space to self-identify and validate their own existences.The friendship these women shared and the respect that they had for one another is very encouraging in a society that dictates that relationships between women, in any form, are innately catty and jealous. With these herstories swirling around in my head, I’m eager to hear more. And hopefully the warm weather will return soon.